The premiere outdoor event space and restaurant in Mid Missouri. Truly unique, The Station House sits on 170 acres, and is bordered by the Missouri River and the Katy Trail State Park. The Station House project kicked off in 2016, and in addition to including a complete makeover of the existing building, involved a significant property clean-up project — new fencing and all new roads and parking surfaces. Previously catering mostly to Katy Trail traffic, the makeover makes the property more accessible for the whole community.  The Station House is a seasonal business, open from April through October, weather permitting. Love The Missouri Outdoors? Book Us For Your Next Event!